Exploring by wandering within the small streets of Turkey can be one of the great benefits of traveling abroad. Because in this way you can discover the beauty of Turkey by yourself. Although you can easily find your way by asking or using a traditional map when you’re walking in a city center within Turkey, it may be difficult when you’re driving. In this case, navigation can serve as co-pilot and relieve you of enormous strain during your journey. Additionally, most of the navigation apps lighten this activity by showing helpful reviews and tips about Turkey and sharing local experiences. In this article, we are going to introduce you five best navigation applications that have maps for Turkey. No list on maps would be complete without Google Maps. As a part of Google applications and services, Google Maps is an all-in-one solution. It works nearly on all platforms: Android devices, iOS (iPhone and iPad), Windows and Linux laptops. And the good part is, it is completely free. Google Maps has up-to-date navigational data of Turkey, and it provides you with directions for a private vehicle, by walk or public transit with several alternatives. Google Maps have one of the best search functions among the navigation apps. Using the advanced Google search engine, the results are fast and consistent. Last but not least, it has an offline function. You can select an area and download the whole map for that are and use it offline. Waze, a part of Google since 2013, is using Google Maps data. What makes using Waze in Turkey different is that Waze is a kind of “Social GPS”. How a maps software be social? That is done by gathering data contributed by Waze users. That way, you will have access to the latest oil prices, road traffic, accidents, and various other travel conditions. As a community-driven GPS maps application, Waze is faster on being updated. If you have a stable Wi-Fi connection, you will have instant access to the traffic in Turkey thanks to Waze. Sygic is a paid-app with a free but limited version available as well. It works perfectly in Turkey, although we recommend Sygic especially for those who like to travel with their personal vehicles. Sygic, unlike Waze, uses TomTom maps -who provides a well-known, industry-leading service. Apart from Google-based navigational services, Sygic has a parking database. Thanks to this unique feature, you will find the closest available parking lot with the cheapest price in Turkey. It also has a “mirror-screen” option, which makes using navigation while driving extremely comfy. All you have to do is connecting to Sygic via the app. Apple Maps, default navigation app for iOS devices has all the basics that one would expect from a maps app for Turkey. It also offers travel suggestions based on the information that it gathers from your calendar and on your previous travels. Which makes Apple Maps a personalized assistant. It is also Uber compatible, so you can make Uber appointments. Although it is an all-in-one application that would suit most of your needs, unfortunately, it is an iOS exclusive. To be able to use, you need to open the app from your iPhone or iPad. 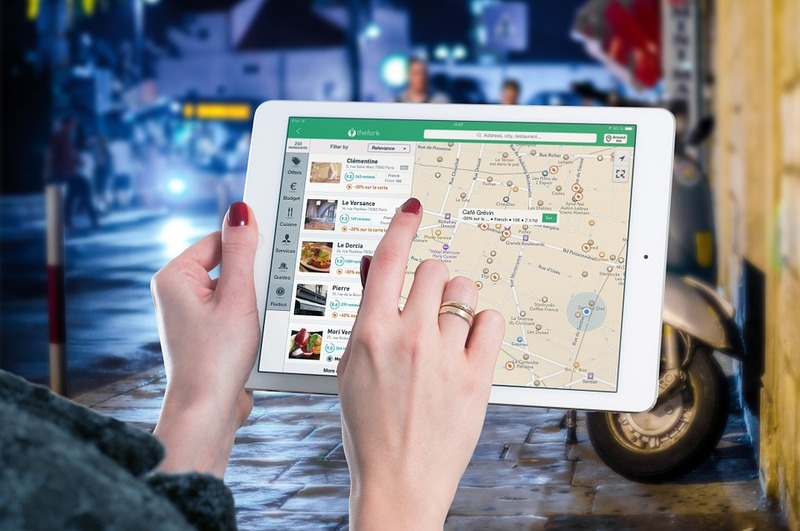 MapQuest, founded in 1967, is one of the leading competitors of Apple and Google. It has layers such as food, hotels, gas, and shopping and it has an easy-to-use driving feature. MapQuest also has a section of live cameras -which is great because you can see the weather and traffic conditions in Turkey before going out of your hotel room. In order to be updated with the latest traffic thanks to MapQuest, you need a stable network connection. In summary, it is crucial to mention that almost every single one of these apps and/or all of their features work with an internet connection. Fortunately, you can book Rent ‘n Connect wifi hotspot devices for your travels abroad and stay connected with our high speed, unlimited Wi-Fi and enjoy using these highly helpful navigation apps!